This powerful liquid has been produced and used for thousands of years, dating back to before the 6th century. Vinegar had different uses across a number of ancient civilizations. For example, the Babylonians are said to have flavored vinegar with fruit, honey and malt as a food ingredient and beverage, and Hippocrates is believed to have used vinegar to disinfect and manage wounds. The Chinese used vinegar to clean their hands and prevent infections around the 10th century, and in the US 200 years ago, it was used to treat a number of infections and ailments, including fever and poison ivy. 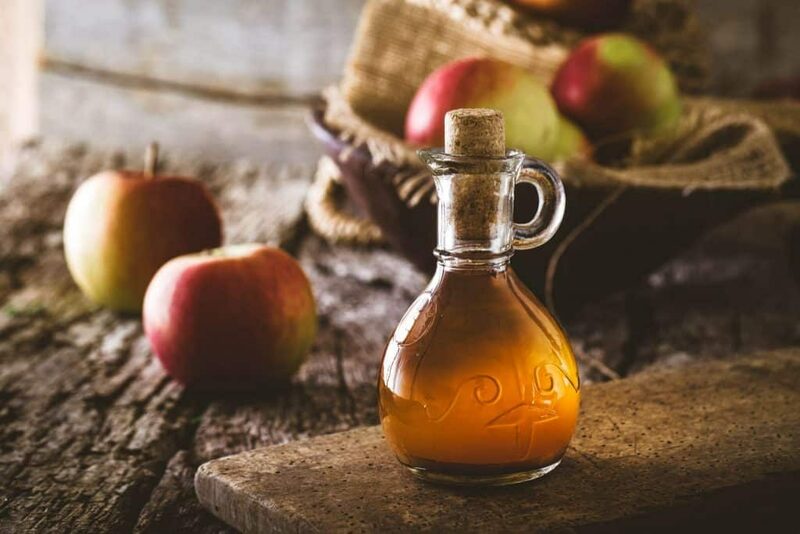 Today, there are many health benefits of vinegar touted, especially apple cider vinegar – some proven, and others unproven. For example, it is rich in bioactive components, including acetic acid, gallic acid, catechin, epicatechin and caffeic acid, and has powerful antioxidant and antimicrobial properties. However, claims like its magic ability to trim centimeters from your waistline are a bit less accurate. 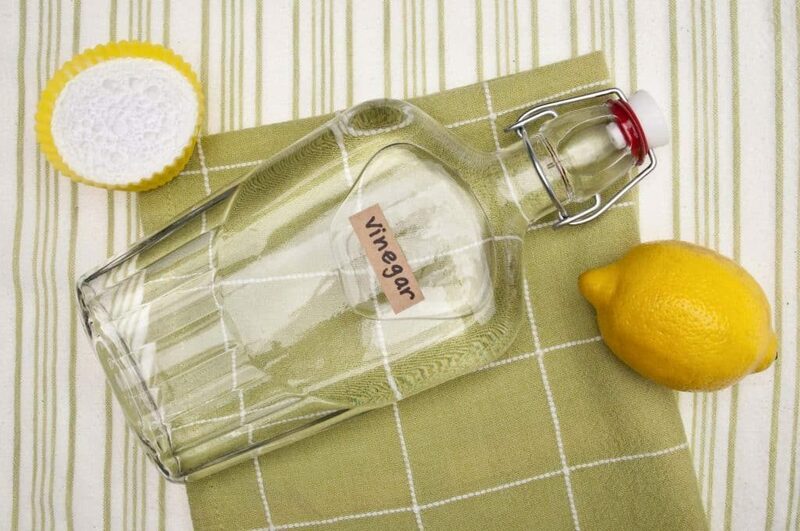 Vinegar remains a popular kitchen staple for dressing salads and pickling fruits and vegetables. 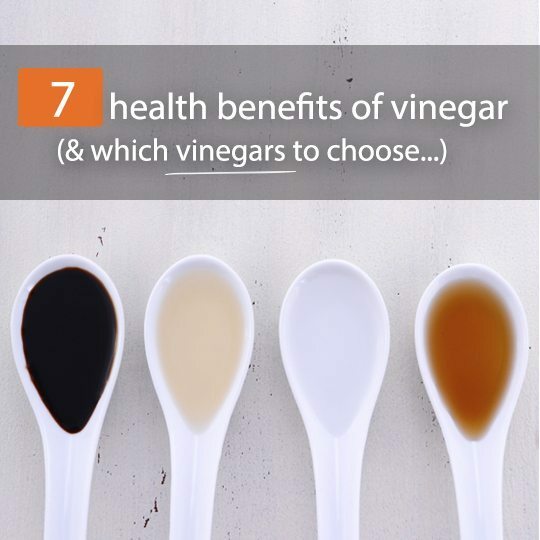 You probably know vinegar as a great natural cleaning agent, and that is because of its antimicrobial properties, and therefore, ability to kill bacteria. 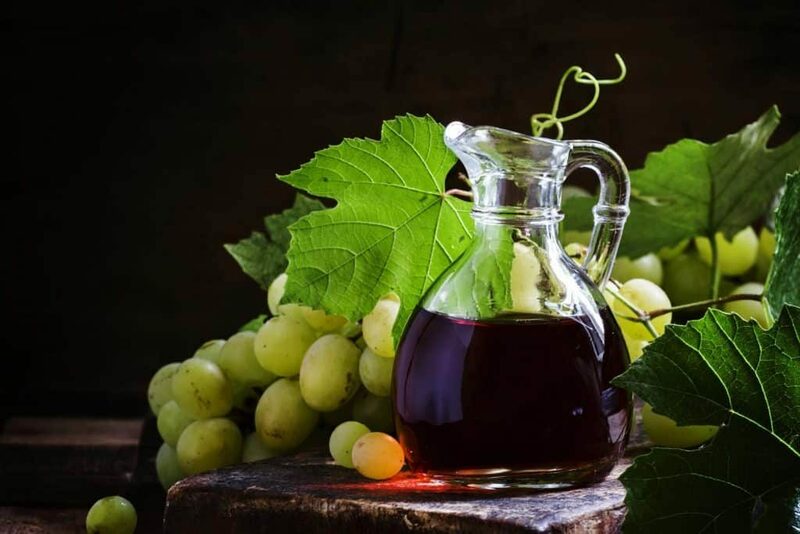 The organic acids in vinegar, especially acetic acid, work in the same way when added to food, passing into the cell membranes and killing bacteria. 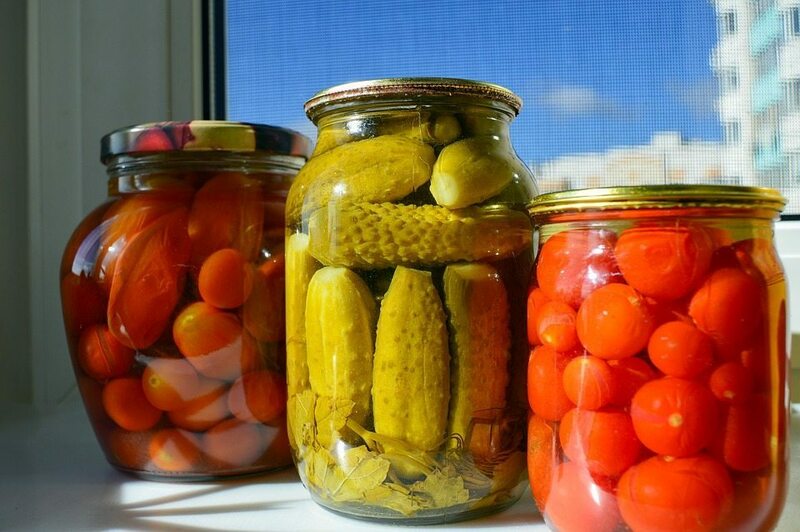 That’s why foods fermented in vinegar have natural beneficial acids, including acetic, lactic, citric, ascorbic, propionic, malic and tartaric. One study looked at the antimicrobial effect of rice vinegar on E. coli in lettuce and found that vinegar with a minimum of 5% acetic acid reduced the population significantly. Antioxidants are extremely important molecules that can inhibit the oxidation of other molecules, and help fight harmful free radicals. 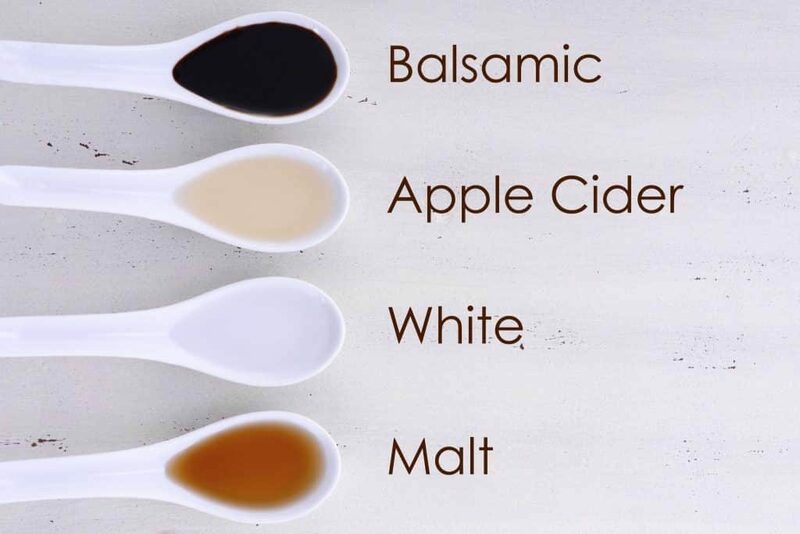 Certain types of vinegar, such as apple cider vinegar, have polyphenols and vitamins, which have potent antioxidant products, and they can help ward off oxidative stress. 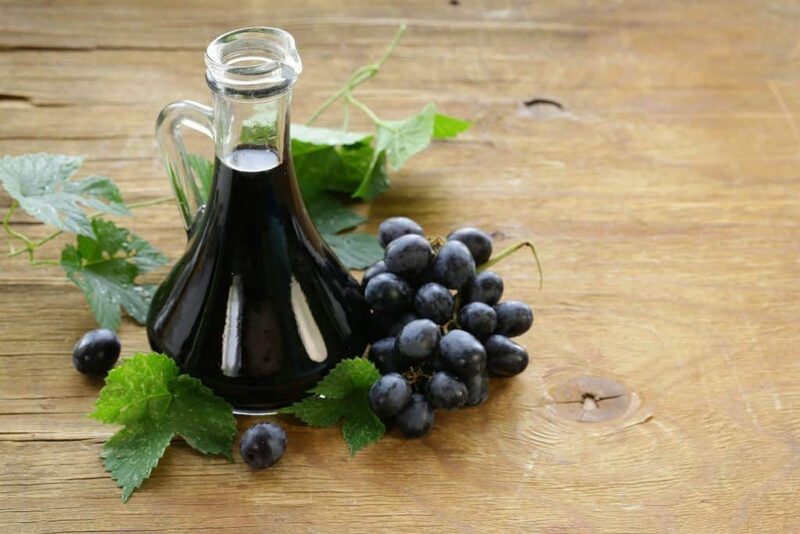 One study that looked at the antioxidant properties of grape juices and wine vinegars found that they were all good dietary sources of beneficial antioxidants. Several animal studies have found that heart disease and stroke ‘risk factors’ could be improved by consuming vinegar. One study found that dietary acetic acid in apple cider vinegar reduced serum total cholesterol and triacylglycerol in rats, while another study found it could potentially improve obesity and obesity-linked type 2 diabetes. Apple cider vinegar, in particular, may also contain chlorogenic acid, an antioxidant that can protect LDL cholesterol particles from becoming oxidized, which is a crucial step towards heart disease. 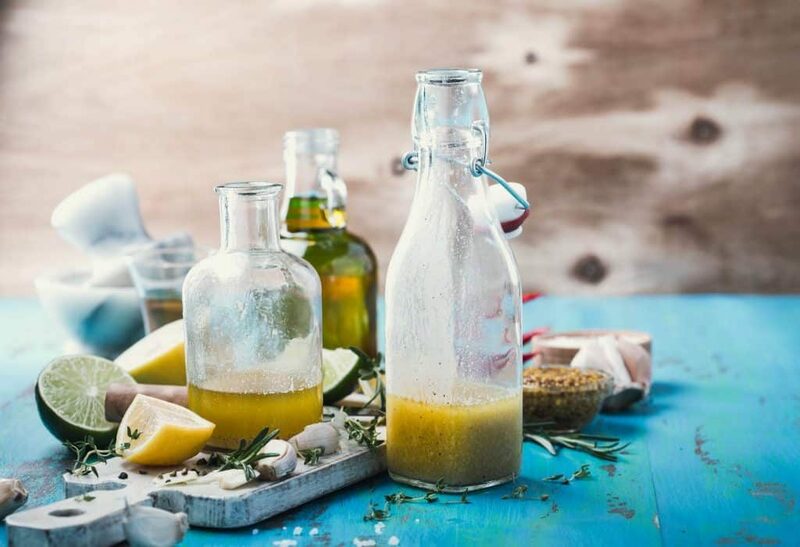 The only human research so far, however, was an observational study from Harvard that concluded women eating vinegar-based salad dressings reduced their risk of heart disease. 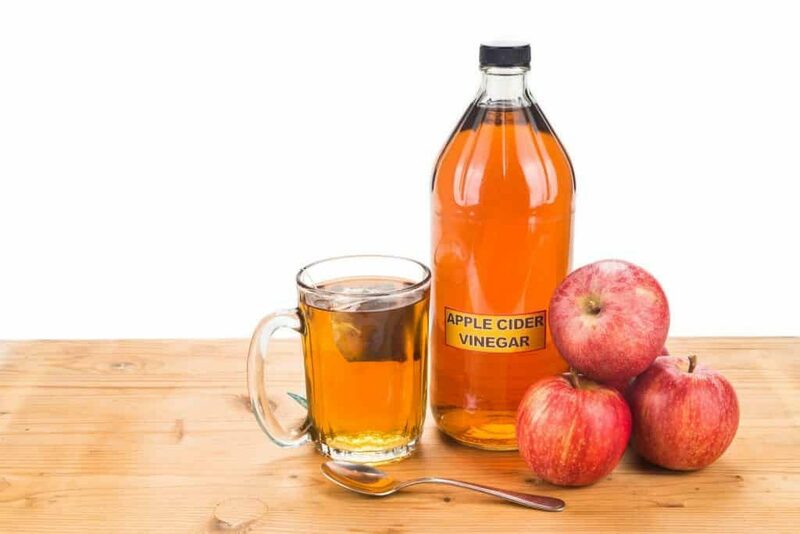 There is anecdotal evidence that apple cider vinegar may help prevent indigestion, heartburn and acid reflux. The vinegar improves digestive acid and introduces more acid into the stomach. 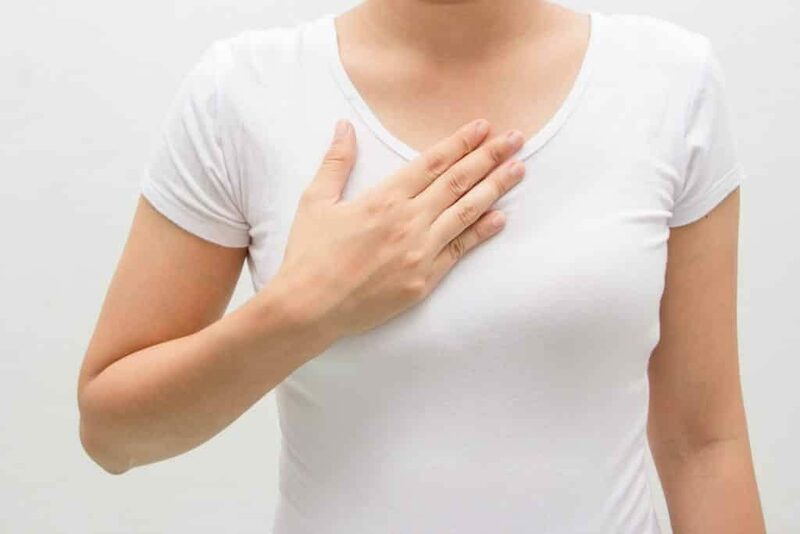 Acid reflux is caused by having too little acid in your stomach, and a simple tablespoon of raw unfiltered apple cider vinegar diluted in a large glass of water daily can ease and even eliminate symptoms. Heartburn, however, can only be improved by consuming vinegar if it is also caused by too little acid in the system. If, on the other hand, it is caused by your digestive system producing too much digestive acid, then drinking vinegar will only exacerbate the problem. Therefore, it’s important to find out from a health professional what is causing your heartburn before self-medicating. The anti-glycemic effect of certain unfiltered vinegars, especially apple cider vinegar, has a positive effect on blood sugar control, and can work against diabetes. That’s because it blocks some starch from being digested into the body, which reduces the risk of a blood sugar spike. In other words, the acetic acid in vinegar prevents complete digestion of some carbohydrates, therefore slowing down the transformation of carbohydrates into sugar. 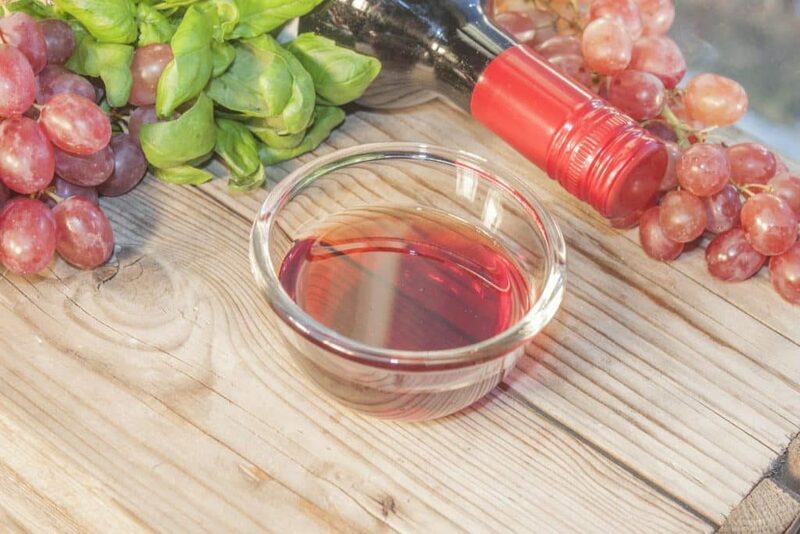 There is limited evidence about the effects of vinegar on diabetes; however, one study concluded that it could significantly improve postprandial insulin sensitivity in insulin-resistant subjects. That’s not to say, however, that vinegar is some sort of easy cure when it comes to diabetes. It can certainly be used alongside a healthy, diabetic-friendly diet to help reduce the risk of blood sugar spikes, but should not be relied on entirely, or used instead of medication. The antioxidant content of vinegar may work to fight or prevent cancer, according to some initial non-human studies. One study suggests rice vinegar can kill cancer cells and shrink tumors. Several studies looked at a variety of cancer cells, including colon, lung, breast, prostate and bladder. However they were all conducted either on isolated cells in labs or on animals, which doesn’t prove anything when it comes to a living human. While it does show promise, touting vinegar as a definite cure for cancer is premature at this stage. Disclaimer: Drinking vinegar will not suddenly miraculously make you skinny! It can be used, however, as a tool in weight management. Because vinegar lowers blood sugar and insulin levels, when eaten with carbohydrates, it can make you feel full, resulting in you eating up to 275 fewer calories for the rest of the day. A number of human studies have found that vinegar can increase satiety, which helps you reduce your calorie intake. A reduction in calorie intake, of course, equals reduced weight over time. Again, this is not a miracle cure, and it doesn’t work in isolation. 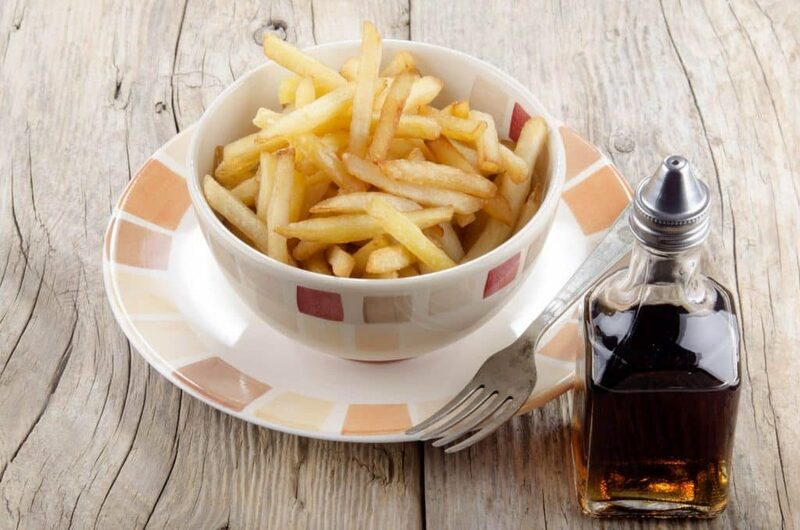 Simply adding vinegar to your daily food consumption will have no effect on your weight. It needs to be eaten with healthy carbohydrates, and you can then try reducing your calorie intake during your next meal of the day. For example, add apple cider vinegar to a salad for lunch, and then reduce your usual calorie intake for dinner. White vinegar is inexpensive, natural and non-toxic, and can be used instead of just about any commercial cleaning product. For example, you can mix solution of white vinegar and water to wipe down your refrigerator shelves and door. You can use it instead of rinse aid in a dishwasher. You can use it instead of disinfectant spray. And you can use it to clean and kill germs in the bathroom sink and bathtub (fully concentrated). One of the best vinegars to use in marinade sauces is red wine vinegar, because of its taste. Soaking meat in red wine vinegar adds flavor and tenderizes it. 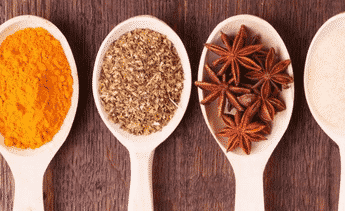 You can add olive oil, lemon juice and herbs to the vinegar for a delicious marinade, and then barbecue or grill the meat or vegetables you have marinated. 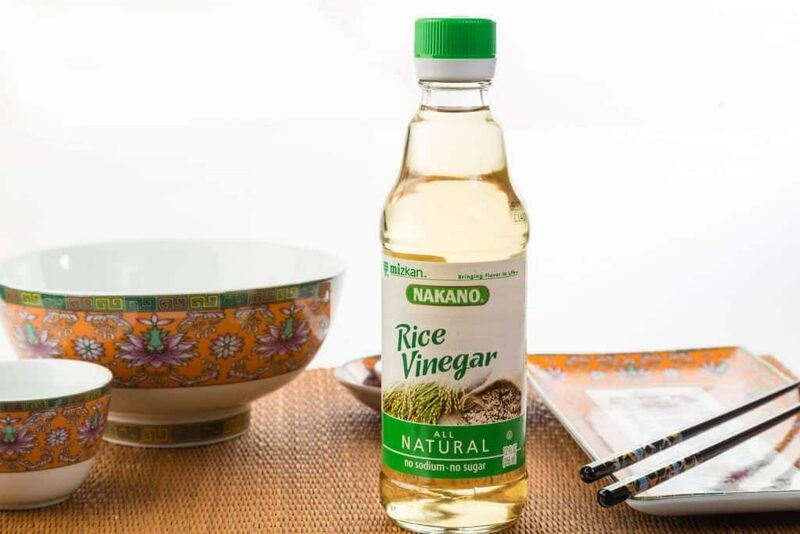 Rice vinegar is classically known as an ingredient in sushi, but it can be used in a lot of other food prep as well, from stir fries to salad dressings. 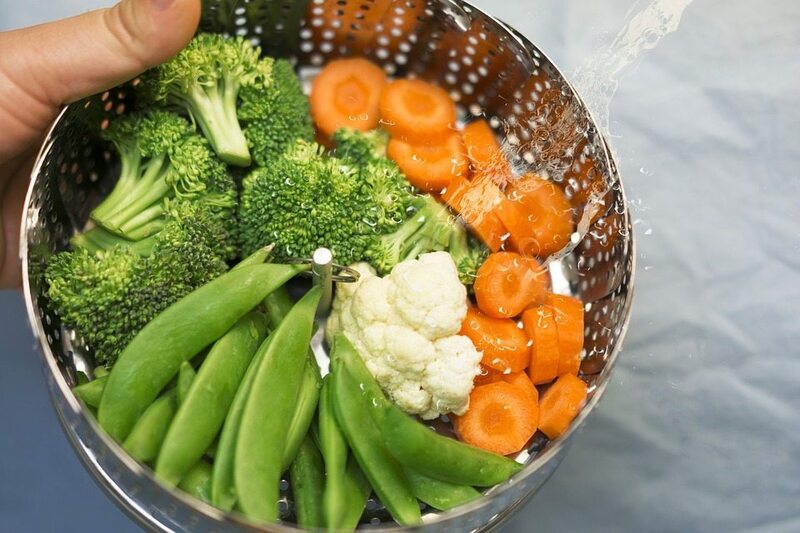 Because it is not a particularly overpowering vinegar, it works well lightly drizzled over steamed vegetables, such as broccoli and carrots, to enhance the flavor. This one is unsurprising, but it really is one of the best salad dressing options because of the taste. Balsamic vinegar works particularly well alongside olive oil, salt and pepper for a tasty, healthy dressing. It can also be used with olive oil as a bread dip. This classic fish and chips dressing actually makes a fantastic base for pickling vegetables and nuts as well. It is particularly popular when pickling walnuts, and can be combined with sugar and garlic powder for an enhanced taste. This vinegar has more of a lemon taste than cider vinegar, which is tangier. This, of course, depends on what you are using vinegar for. If, for example, you are using vinegar to clean, then distilled white vinegar is a great option, because it works as a disinfectant, cleaning agent, and is the cheapest vinegar on the market. If, on the other hand, you are using it for its health benefits, you want to choose organic, unfiltered, unprocessed vinegar. It will look murky, but in the murk is where most of the nutrients hide! The cobweb-type substance floating around in a bottle of unfiltered vinegar is known as ‘mother’, and that’s what you should be looking for. Thank you for that wonderful article! I just love, love the pictures; some of them could be artwork! I was just wondering, what is your take on coconut vinegar? Hi Kim, I’m glad you enjoyed the article! Coconut vinegar is another great option that is low GI, rich in powerful amino acids and full of minerals, and you can use it the same way you would apple cider vinegar – in salad dressings, or simply drizzled over salad with a little olive oil, salt and pepper. I am now using coconut vinegar which is less acidic than Apple cider vinegar. Used to use apple cider vinegar and had heart burn but not with coconut vinegar. Very informative and helpful info.